As we discussed options, we landed on several strategies, including a special edition of Peacebuilder to explore the impact of initiatives that have emerged from EMU’s Summer Peacebuilding Institute. The Paynes provided the funds for EMU communications staff to travel around the world and gather these compelling stories. 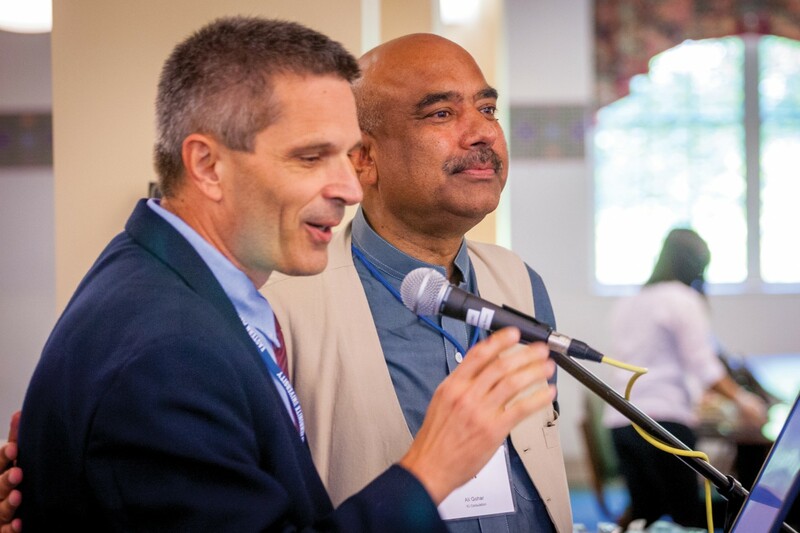 From South Korea to South Africa to the South Pacific, from Mozambique to Manitoba, from the Philippines to India, staff circled the globe to learn about the successes and struggles of educational initiatives run by CJP-linked peacebuilders. The ripple effects of these peacebuilding initiatives are nothing short of amazing. And yet many of them wrestle with the same issues we face at CJP. How can peacebuilding organizations be financially viable for the long term, while remaining accessible to all who wish to expand their peacebuilding knowledge and skills? How do these centers continue to engage with their alumni in ways that are mutually beneficial? As you read this issue of Peacebuilder, I believe you will agree that the peacebuilding field – and the funders and advocates who want it to succeed – have much to learn from these stories. Keep in mind, though, CJP alumni are changing the world through work in other venues too – by consulting, working for NGOs, teaching in universities, and serving in government roles or with the United Nations. Others have promoted peacebuilding by becoming social entrepreneurs. With this issue of Peacebuilder, we say goodbye to Bonnie Price Lofton, a 2004 graduate of CJP’s master’s program, who birthed this magazine in 2005. This special issue marks the 16th that she has edited and, in most cases, researched and written. Her commitment to staying in touch with fellow alumni, and remembering the smallest details about their lives, has been extraordinary. Thank you, Bonnie! We also welcome Lauren Jefferson as the new editor-in-chief for Peacebuilder, which will now become an annual publication. 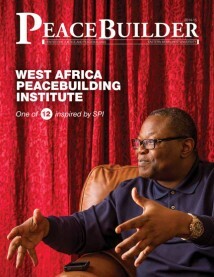 Please drop us a line at peacebuilder@emu.edu to tell us what you learned from reading this issue.